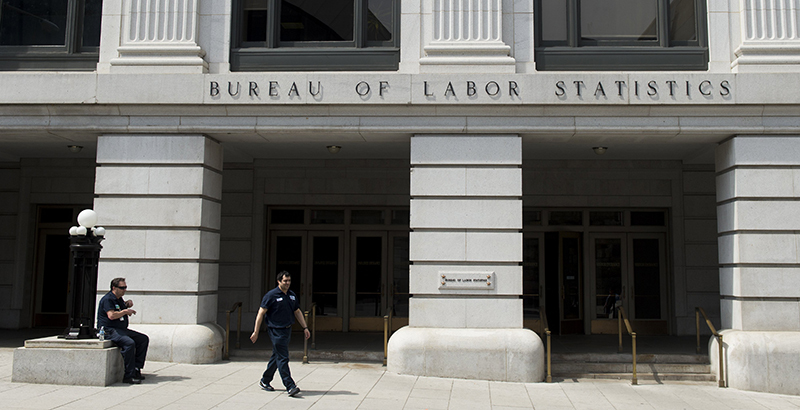 Unions representing employees of local governments showed gains in membership in 2018, according to the annual report released by the federal Bureau of Labor Statistics. This broad category, which includes most public school teachers, police officers, and firefighters, saw the number of union members increase by 64,000 over last year. The union share of the total local government workforce rose to 40.3 percent from 40.1 percent. Though we do not have further disaggregation by job title or month, these figures must be considered a victory for teacher unions in the wake of the U.S. Supreme Court’s Janus ruling last June, which ended the public-sector union practice of charging agency fees to nonmembers. While local government unions could celebrate, the news was not good for public-sector union membership at the federal and state levels. Federal government unions added 5,000 new members, but the workforce increased by 55,000 employees, reducing the unionization rate to 26.4 percent. State government unions had a miserable 2018, losing 118,000 members even though the state-level workforce grew by 6,000 employees. Overall, public-sector unions had 49,000 fewer members in 2018, reducing the unionization rate from 34.4 percent to 33.9 percent, which is by far a record low going back to 1983 — the first year the bureau compiled those numbers. It will be several weeks before we can access the source data in order to examine national unionization rates for all teachers and state-by-state unionization rates for public-sector employees. The total figures we currently have (for both public and private sectors) hint that the effect of the Janus ruling on individual states was also mixed. Of the 20 states where the National Education Association once had agency-fee payers, nine had higher unionization rates and 11 had lower. While the statistics we have so far are still an imperfect measure of Janus, the picture that is beginning to emerge is one of a negative effect, but well short of the catastrophic decline that many hoped for or feared.